The Procrastination Issue, our second and final MonGa as MUSA Editors 2014, brings not only stories about procrastination, but also the products of procrastination. … But why “procrastination”? Well, we reckon many students are able to relate to this act of delaying the start of their assignments and exam revisions – that includes us too! 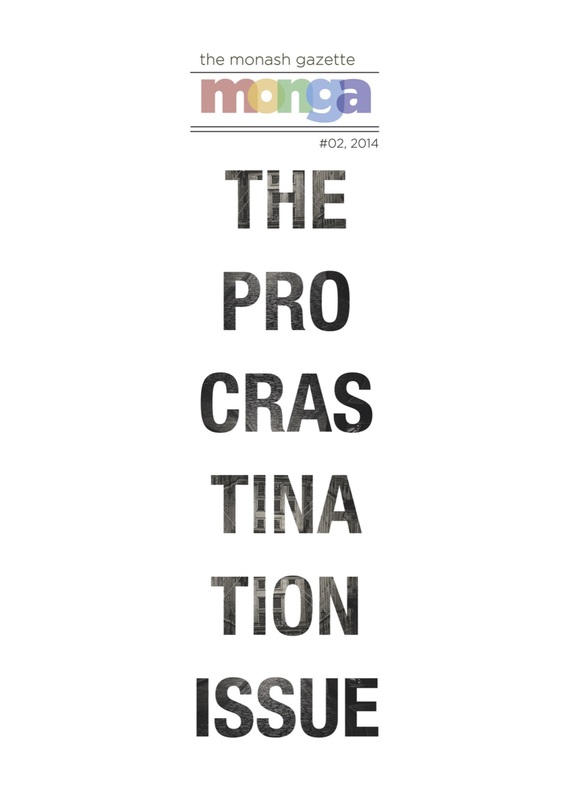 MONGA 2014 Semester 2 – The Procrastination Issue, now available for digital pdf download.